Analysis: Morehouse College needs approximately $1.8 billion in order for all of its students to attend debt free. One of the most nationally known Historically Black College & University and the only all-male HBCU, one word comes to mind when it comes to its endowment – baffling. This is primarily because while Morehouse College did not appear on HBCU Money’s 2011 top ten endowments, it was only because they did not report their information in time to NACUBO. For all intents and purposes there is no reason to believe that Morehouse College does not have one of the six $100 million plus endowments amongst HBCUs. Unfortunately, if it does have a $100 million endowment it does not appear it is anywhere near its sister school Spelman’s endowment in value which is potentially three times the size of Morehouse’s endowment. This despite having the backing and donations of Ms. Oprah Winfrey. From all reports she is the school’s largest individual donor – or was. There are reports that Ms. Winfrey’s support is waning due to lack of alumni commitment. Morehouse College should have a multi-billion endowment. Should. It is one of the few HBCUs with a large base of alumni with a sound concentration in the six-figure income range. Morehouse’s new leadership must tackle this inept giving attitude from alumni to become more engaged givers. The school’s downgrade on its financials by Moody will not only have an effect on Morehouse but will reverberate down the stream for other HBCUs. Despite all of this mire the school has the ingredients to not only right the ship but be a legitimate contender for the first HBCU to a $1 billion endowment. It has the alumni, earning power, and prestige but it must fix the disconnect between its alumni and their endowment. 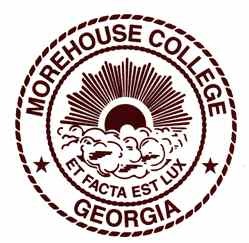 If Morehouse was a financial institution it would fall under the “Too Big To Fail” category and while the college is in no danger of closing its doors, it is itself a bellwether institution and must find a way stop resting on its laurels and become the hungriest of the hungry if it is to take its place among the endowment vanguard of HBCUs once again. This entry was posted in Philanthropy and tagged morehouse college. Bookmark the permalink.